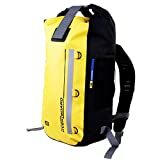 The OverBoard Waterproof Backpack is a rolltop rucksack with loads of room inside. An unfussy, high-quality bag with a few extra pockets to keep your bits and pieces in, the main attraction of this one for us, is the unobstructed 30L inside capacity. 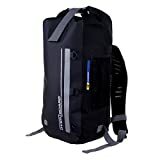 That’s key for the OverBoard Waterproof Backpack, which prides itself on being completely waterproof, and even capable of being briefly submerged in water, without wetting the contents. 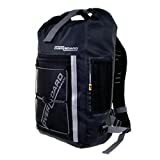 The bag itself is extremely well made and will withstand general wear and tear without any problems. For a waterproof rucksack of this size and quality, the OverBoard is great value for money.